Sports massage is deep massage that specifically targets soft tissues such as muscle, tendons and fascia (the protective sheath that wraps round all our muscles and organs). We use it to help treat increased muscle tension, trigger points (muscle knots) and thickened connective tissue. Whatever your level of sporting ability, it’s worth knowing a good sports massage therapist. 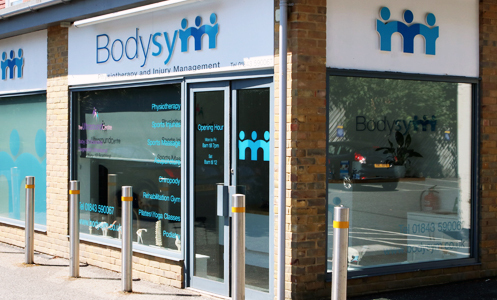 We can help you before and after regular or event training, with regular body maintenance and with recovery from injury. Used alongside a stretching programme, sports massage can ease your recovery from repetitive muscular contractions and DOMS (delayed onset muscle soreness), that achy feeling you get after tough exercise. Pre-race massage gets your body ready to run and helps ward off injury by preparing muscles and joints for the race ahead. It’s best done briskly (but not deeply) just before an event. After an event, rhythmic gentle massage is great for easing tired tissues and preventing DOMS (delayed onset muscle soreness). Pre- and post-event massage is often available at races – just ask the organiser. Massage between training sessions can help loosen tightness in soft tissues to improve performance and prevent injury. This can be a great addition to your training programme, especially if you’re preparing for an endurance event such as a half or full marathon. Sports massage can also help treat soft tissue injuries to reduce your recovery time and get you back in action. Book a sports massage. Call 01843 590067 or email us to book an appointment today.